According to a recent UN report, violent conflicts have almost tripled in the past eight years and are drawing unprecedented levels of international engagement. In light of the unfolding events in Syria, Burundi, and many other conflict-afflicted countries, it is of utmost importance that we think about what makes peacebuilding interventions work and how we can avoid counterproductive or ineffective practices. And it is particularly relevant for Canada today in light of Prime Minister Justin Trudeau’s pledge to re-engage in UN peace operations. In a previous blog post, we highlighted research demonstrating that UN peacekeeping missions, on balance, have a good track record. But we know all too well that if peacebuilding fails, the costs can be tremendous. Numerous post-conflict countries have relapsed into war despite peacebuilding efforts, sometimes even after a prolonged pause, and sometimes with even greater levels of violence. Many in the humanitarian assistance, peacebuilding, and international development community are thus looking for success stories—and for good reason. While it is mostly agreed that in order to be more effective, peacebuilding interventions require more financial, logistical, and human resources, there is a growing consensus that local ownership is a key element of success. External interveners, especially UN personnel, are well aware of this. Nonetheless, far too often they have a tendency to live in a bubble, where they interact mostly with other expatriates and lack contact with host populations, which directly works against local ownership. This, at least, is the argument put forward by Séverine Autesserre, researcher and associate professor at Columbia University, after conducting several years of ethnographic research in conflict zones around the world. According to her, many of the practices, habits, and narratives that shape peacebuilders’ efforts on the ground are, in fact, counterproductive. To put it bluntly, they live lives that are largely separated from the populations they are trying to help. So, when looking at why some peacebuilding interventions fail, we might want to start with an examination of our own behaviours as outside interveners. This, in conjunction with the implementation of other best practices (see for example the UN recommendations), can only make peacebuilding more effective. Interested in learning more about Autesserre’s findings and ideas? Attend the public lecture in the amphitheater of Saint Paul University, Ottawa, on February 4th at 7:30 pm. The author will present her book Peaceland: Conflict Resolution and the Everyday Politics of International Intervention. 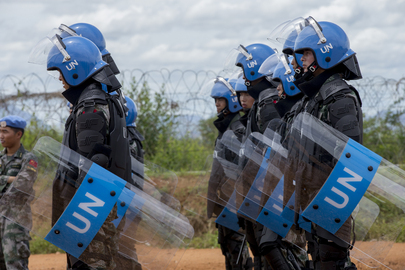 To read more on the effectiveness of peacekeeping, see Roland Paris, “Peacekeeping works better than you may think,” Centre for International Policy Studies, 2 August 2014.